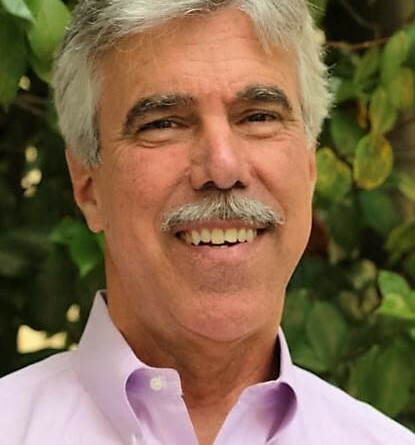 LONG BEACH — Tony Budrovich, who served as Catalina Island Conservancy’s chief operating officer for more than a year, will become the organization’s new president and CEO on June 25, replacing Ann M. Muscat. Muscat, who announced last year that she planned to retire in late 2016, will serve on staff as president emeritus until Oct. 7 to assist with transitioning important relationships, to continue campaign fundraising and to serve as a resource to Budrovich, as needed. She has served as president and CEO for more than 13 years – the second longest tenure of any of the Conservancy’s CEOs. The Conservancy’s Board of Directors conducted a 10-month national search before selecting Budrovich to serve as the organization’s fifth president and CEO. Budrovich has been living on Catalina Island since he joined the Conservancy last year. In addition to overseeing the Conservancy’s operations Budrovich secured a major gift of 13 new vehicles from Toyota, begun implementation of a new ticketing system in visitor services and led an aggressive program of capital improvements such as the new pier at Whites Landing, employee housing purchases and remodels, and the extensive planning processes to expand Catalina’s trail system and construct a new visitors’ center, The Trailhead. Before joining the Conservancy Budrovich served 18 years as deputy director of the California Science Center and senior vice president of the California Science Center Foundation. There he was responsible for 350 staff, 150 volunteers and all operations. Among Budrovich’s many accomplishments, he led the construction projects for the California Science Center’s second phase, ecosystems, and for the new building housing the Space Shuttle Endeavour. Budrovich first developed his skills in public educational venues through leadership positions at Sea World Inc. and Marineland of the Pacific. He’s also worked with companies as a consultant focused on improving management and guest experiences and in the field of seawater desalination.